It’s always impossible to predict what the future will hold. When I was a kid, we all thought we’d have flying cars and a glorious sci-fi utopia by 2018, but instead all we got was Tesla cars and Brexit. That hasn’t stopped people far and wide from dreaming about the world of tomorrow today, of course. 絵を描くPETER‏ over on Twitter is one such dreamer, and has shared with us his vision for a gaming toilet. What exactly is a gaming toilet, I hear you ask? Well, take a look below and find out. Yes, it is pretty much what you’d expect to be. And yes, it is glorious. The gaming toilet looks like it could have been designed by Razer or any other premium PC hardware company. 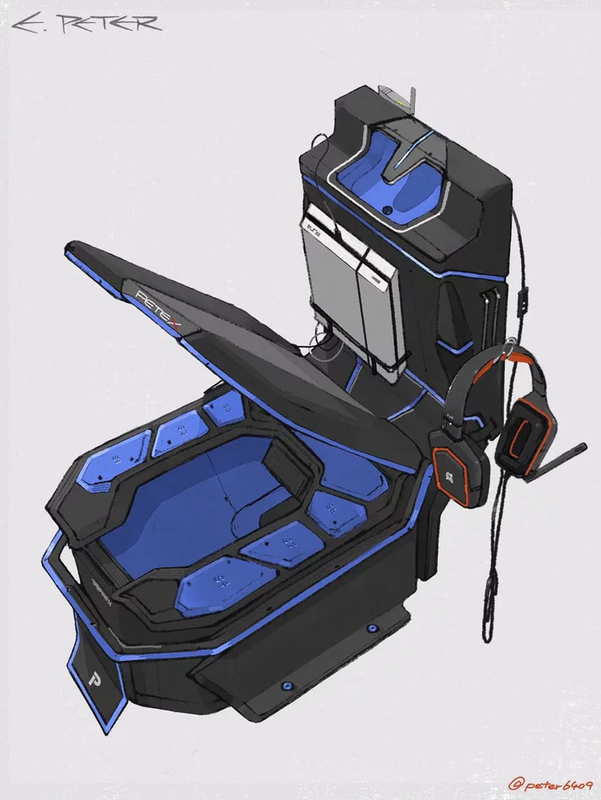 It has the sleek, angular shape of a high-end gaming chair, complete with padded cushions for what I assume would be your bare tush. Notice that the bowl itself begins to glow in that extra af way most Razer devices seem to. The console of choice (here a PS4) can be slotted in behind you, which is then presumably connected to a monitor (not pictured here). 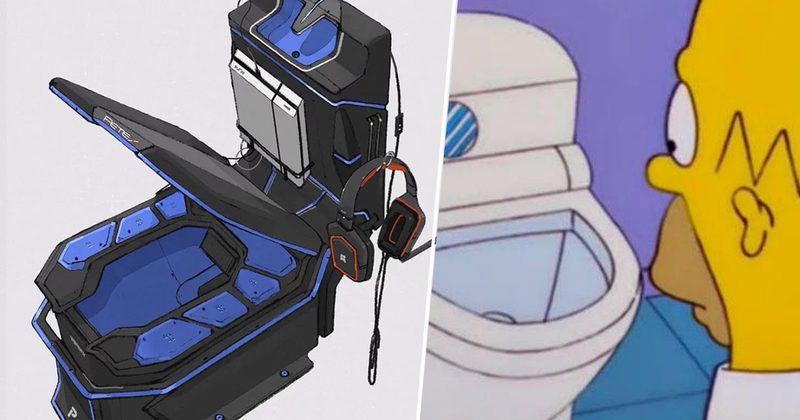 There’s also a slot to hang your headphones, although if you were using voice chat while on the gaming toilet, maybe spare a thought for the teammates who don’t want to hear you emptying your bladder and/or bowels. The eagle-eyed among you might even have spotted the router attached to the back of the tank, because for too long gamers have suffered from lag while attempting to play on the loo. Presumably. Hopefully a company such as Razer sees Peter’s designs and works with him to make them a reality. Playing scary games like Bloodborne or Resident Evil 2 would be much easier if you were already instantly in a comfortable position to… relax, if you know what I mean.